Surgeons usually have to work with very tiny objects and dark areas when performing different routine exams and invasive surgical procedures. Surgical loupes are magnification devices that help enhance visual acuity and clarity. Purchasing new surgical loupes is not as easy as counting 123. There are a lot of factors that you need to consider in order for you to pick the right loupes. Surgical loupes are quite an investment not only because they are expensive but also because the quality and type of loupe that you will choose will greatly affect your comfort and work performance. To help you find the best surgical loupe, we have outlined below some of the significant things that you need to know about before heading to the loupes shop. Surgical loupes come in two basic designs: the through-the-lens or TTL and the flip-up. Loupes that have optics that are already fixed into the lens are known as through-the-lens loupes. The nice thing about TTL loupes is that the loupes are always in the right position since it can't be moved and it is specially customized for only for you. It likewise provides a wider field of view as compared to flip-up loupes. They are also lightweight and easy to maintain. On the other end, if you want to go back and forth on a regular basis, you can purchase a flip-up loupe. This type of loupe has an adjustable angle of declination. Its optics are attached to a movable arm which allows you to flip it out when not in use. If you want your loupe to have greater clarity and to be of higher magnification level, choose a Prismatic loupe. If you prefer a lower magnification power, choose a Galilean loupe. Galilean loupes are fixed at a single focus level and are perfect for general surgical and dental works. The frames of the surgical loupes are available in different styles and materials. The material options can range from carbon fiber to titanium to plastics. Although choosing the style and material is based on your personal preference, it is still important to pick the one that weighs less and the one you are comfortable with. It is also important to consider the lighting. Proper illumination will further enhance visual acuity and clarity. If you can afford it now, purchase a surgical loupe with available lighting option. If your budget is not yet enough as of now, you can pick the surgical loupes with a mount intended for lighting so that it would be easier for you to add the lighting in the future. 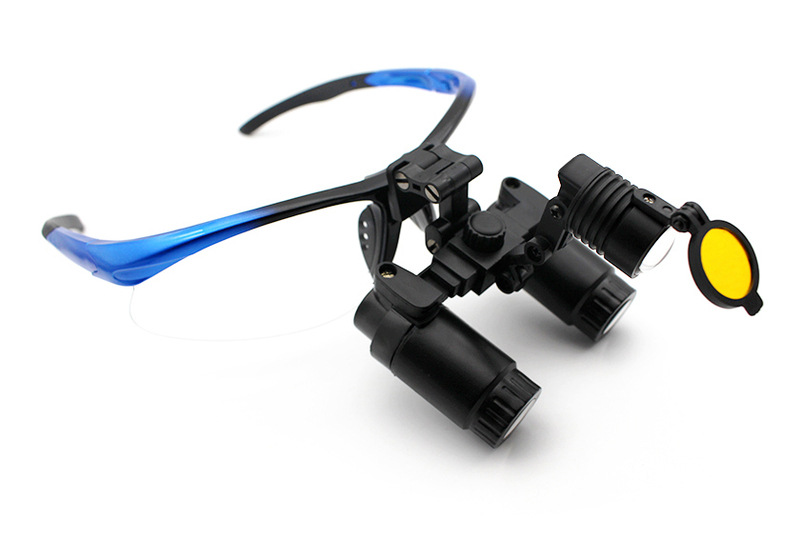 As for the magnification level, it is best to know that it can also affect the field of view and the lighting. The higher the magnification level is, the narrower and the darker the field of view will be. If you intend to use the loupe for simple clinical routine examinations, a 2x-3x magnification is enough. However, if you will use the loupe for more invasive surgical procedures, 4x-6x magnification will provide you with a better range. This entry was posted in Surgical loupes technology | Schultz Dental surgical blogBy Roger Jing On Jun 10, 2017 .